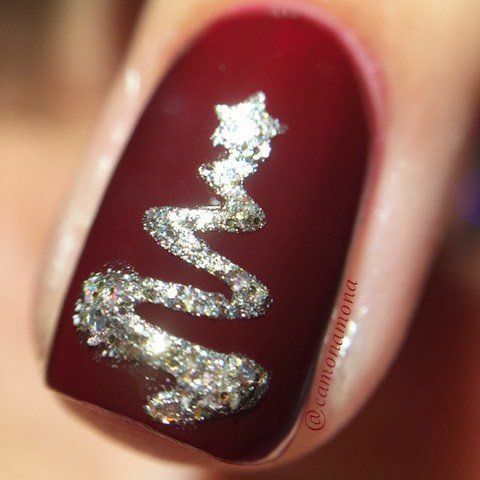 Christmas nails are all about snowflakes, Santa, deer, snowballs and gift bows but what if you don’t want your nails like that? 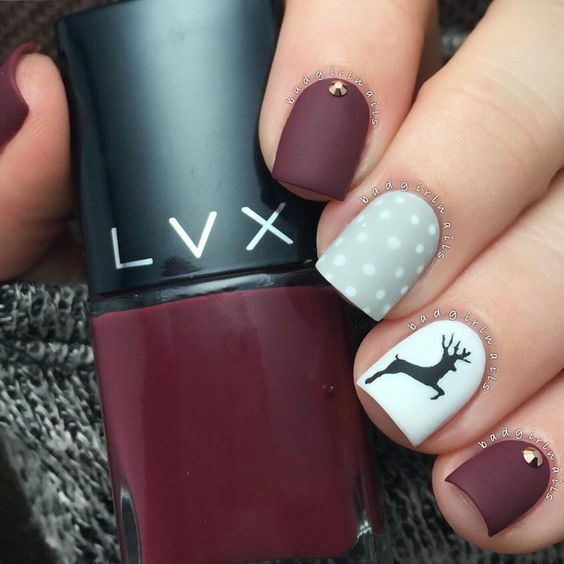 If you don’t feel like all these ornaments and bows on your nails, why not try something different that will stand out still giving a festive look and mood? 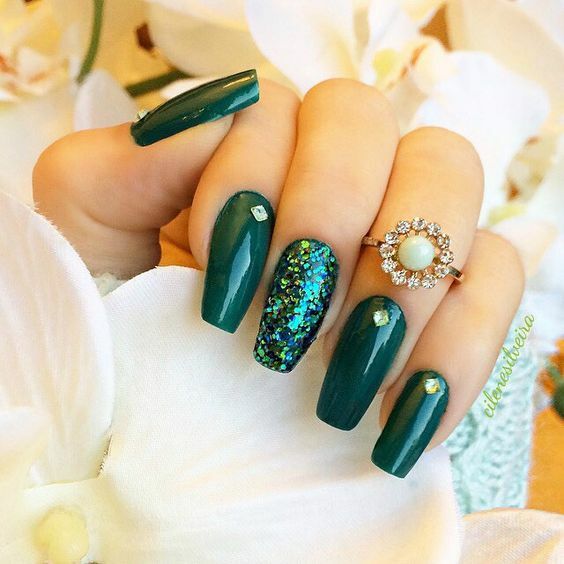 Today I’ve found some unique nail art ideas for those who want something unexpected and a bit mind-blowing. 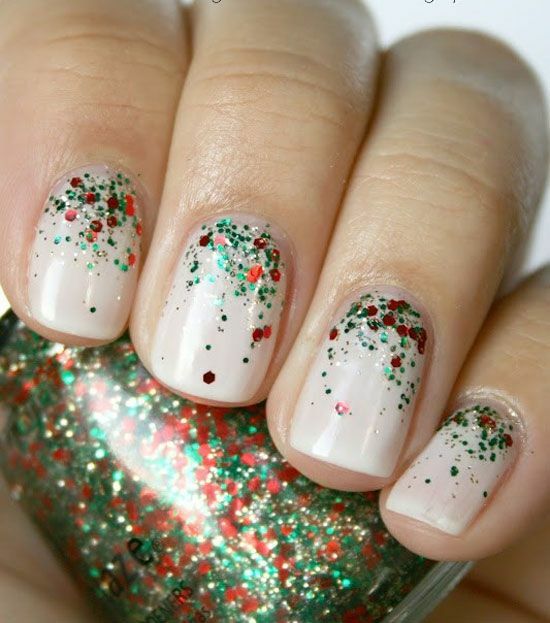 Red is very traditional for all kinds of Christmas décor, looks and of course, nails. Forget the red and turn emerald! This is another traditional shade but not as hacky as red. 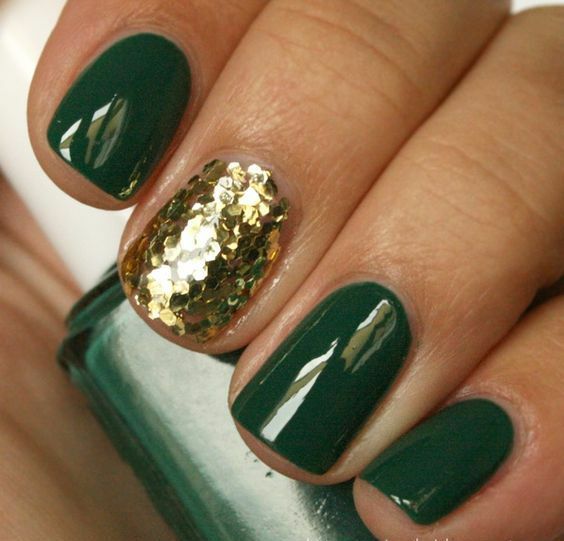 Go for an emerald manicure and accentuate just one nail with gold glitter or with emerald sequins. 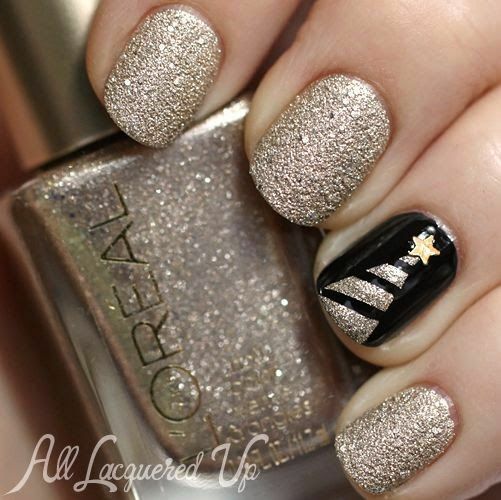 What’s great about such nails is that after Christmas you can still wear them. 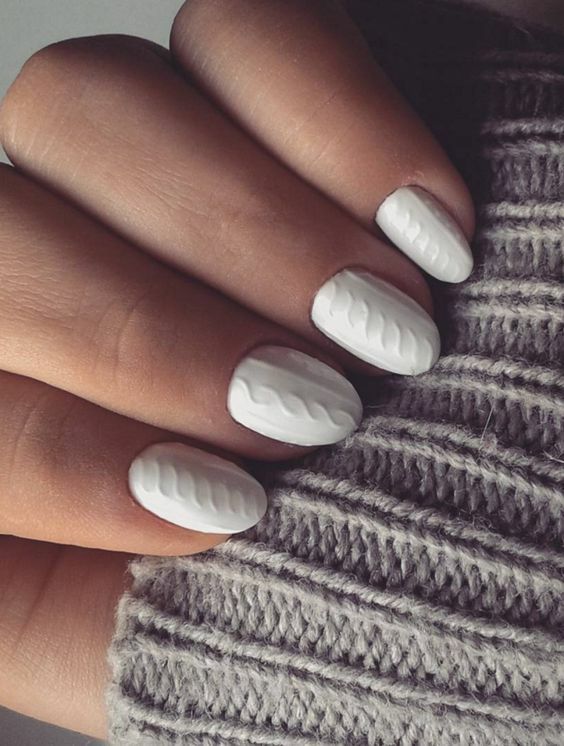 French manicure is always on top, so you can rock it, too, but with a cable knit accent nail. 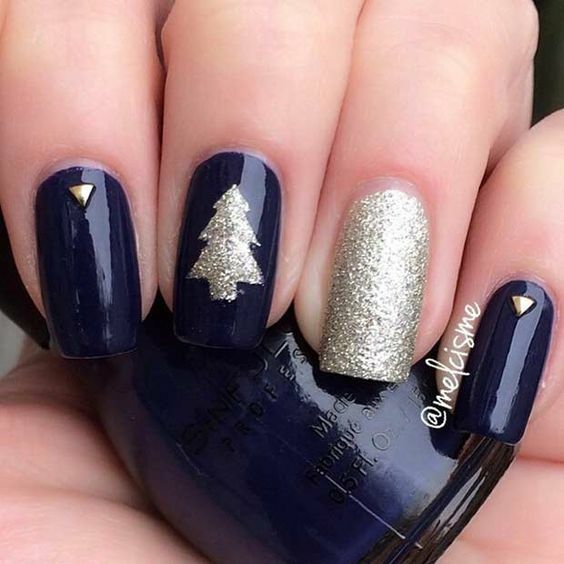 Navy and black aren’t usual Christmas colors, so rock them to create an impression and add a glitter Christmas tree accent nail. 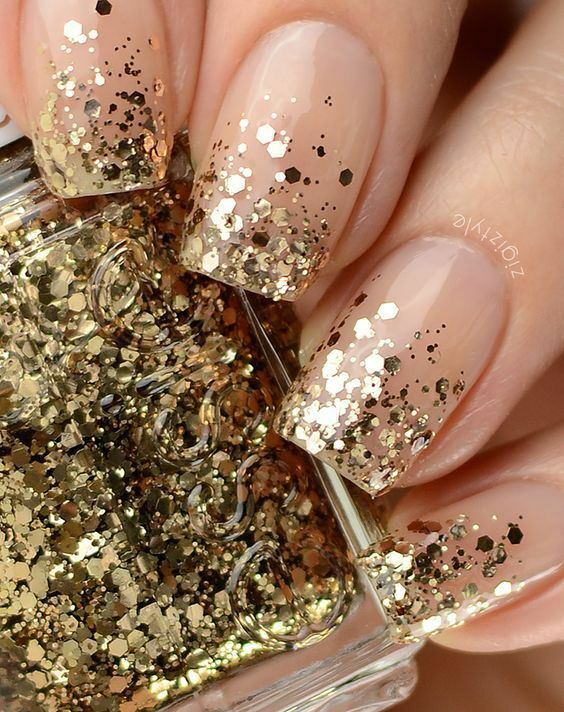 Glitter will always be on trend, especially for winter or winter holidays. 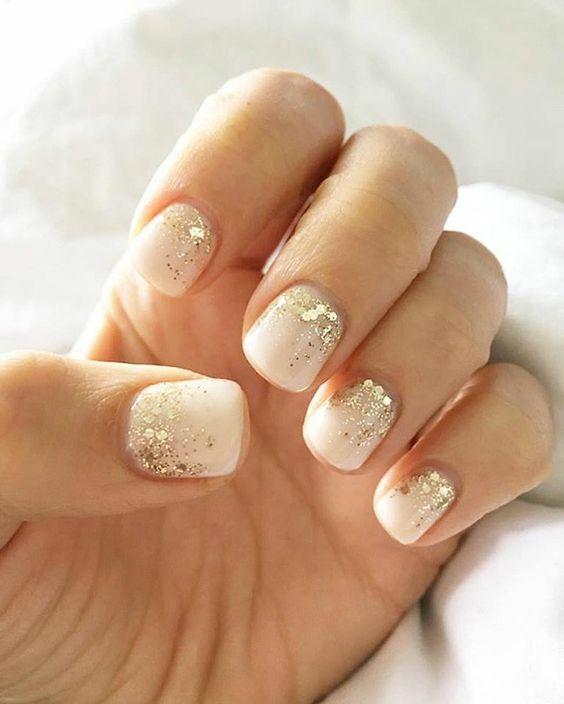 Go for a neutral manicure and then spruce it up a bit with gold or silver glitter, or with red and emerald sequins on tips. 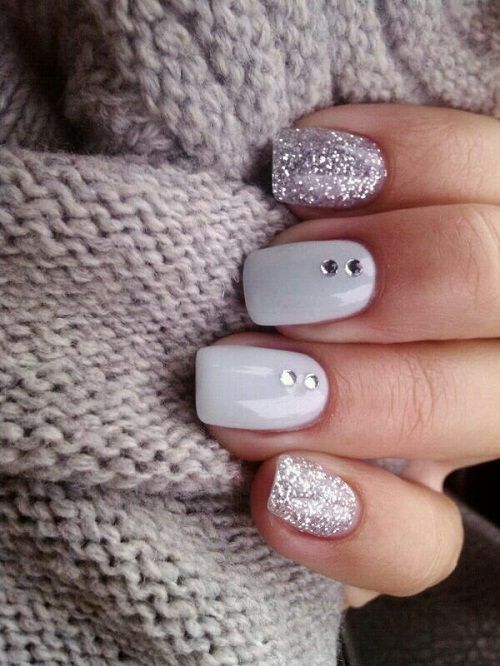 Rock glitter accent nails and rhinestones on each finger, don’t be afraid to shine! 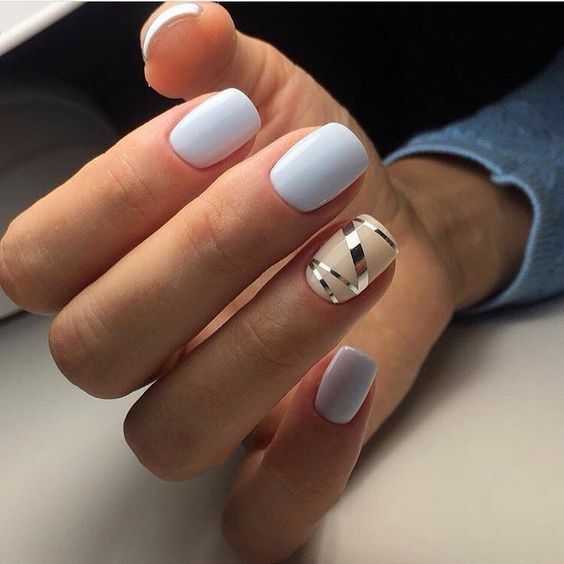 Here you’ll see one of the newest trends – sweater nails, done with cable knit looks or with patterns and stickers that are traditional for sweaters. Black and white is classics but not for Christmas, so this combo will stand out. 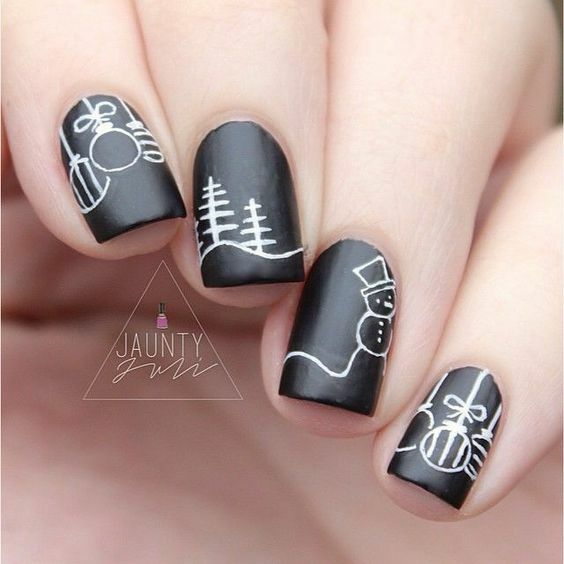 We offer making black nails with white patterns or white nails with some winter-inspired patterns. Enjoy!